"In our view, homeopathy takes human growth hormone to the safest, most sophisticated level ever seen. It combines years of scientific research with the benefits of safety and effectiveness." Dr. Howard A. Davis, from the book Feeling Younger With Homeopathic HGH . According to Dr. Howard A. Davis different people notice different benefits. Some see immediate, dramatic results while others experience more subtle benefits that improve over time. With proper diet and exercise he says the results can be faster, deeper, and more pronounced. He states that many people have begun a whole new life on homeopathic HGH therapy. Same as months one, two, and three. Generally, improvements are heightened and are more consistent. *Please note, at times the body may shift into neutral and some results seem to diminish or vanish. Your body may be using HGH to rebuild tissue or, to a degree, be resting. Tests indicate that, after a while, you should see a resumption of the benefits and even some vast improvements. Same as previous months, but better, with more consistent results. This is the exciting stage! With proper diet and exercise, the results may be faster, deeper and more pronounced! Dr. Davis says that at times the body may also shift into "neutral" and some of the usual anti-aging benefits that have already been seen may seem to decrease because the body may be using the growth hormone to rebuild tissue or the body may be resting. He states that experience indicates that after a while a resumption of benefits should be seen, and even some vast improvements should be noted. He also says that everyone is different, so you should consider the condition you were in before taking the product and how long you have been in that condition. Lastly, he says that whether you notice immediate results or not, according to experience the homeopathic HGH should still be working. Excerpts from Feeling Younger with Homeopathic HGH, The Leading Edge for Anti-Aging , by Dr. Howard A. Davis. The information I will provide below is based upon my experience of the past 19 years. We have a very high satisfaction rate. Many of our clients report their benefits through testimonials. We are proud to have numerous testimonials where clients gave their full names. Many clients taking our ProBLEN HGH products as directed report seeing benefits beginning in the first month. However, since our products are homeopathic and work safely with the body the best way to evaluate them is to take them for a full 90 days. PLEASE NOTE: If you check your IGF-1 level just before taking our product you may take a 90 day supply and then recheck your IGF-1 level. If it has not increased you may return those 3 empty bottles for a full refund. One thing that seems to always hold true is the fact that with effective homeopathic human growth hormone therapy the body will begin addressing health issues first. Please note that the health issues I am speaking of could be any area that the body does not feel is optimum. For instance, the body may have been under some type of stress recently and this can cause health to not be optimum. You may have been exposed to a virus and so the immune system is working hard to prevent you from getting a cold or the flu. Also, the body may contain toxins that need to be removed. These are just a few examples that may affect the first benefits seen in a person who generally feels normal for age and considers himself or herself to be healthy. When taking human growth hormone therapy the body will usually focus on what it sees as its most important health issue first. When this happens some or all of the benefits one may be expecting or hoping to see in Dr. Davis' general time-frame above may be delayed. The body will work on the areas it chooses and in the time-frame it chooses. This seems to happen because the body sees the health condition as more important to its health and well being than for instance the lessening of skin wrinkles, new hair growth, or the enhancement of muscle growth in a bodybuilder or fitness oriented person. With some health issues the benefits cannot be immediately seen and so the client may think the product is not working, however, if they are hypertensive and they monitor and write down their blood pressure readings at the same time every day they may notice their blood pressure is decreasing. Those who have health issues may need to have their medications adjusted or discontinued if the HGH product improves the health condition, so they should always keep their doctor informed, and only their doctor should make changes to their medications. Over the years I have many times had clients report to me that their doctor had decreased or discontinued their medication because their health issue had improved while taking our product. Because I know that homeopathic human growth hormone therapy can affect various health conditions I wrote specific instructions for clients taking our HGH products with certain health conditions. The HGH and growth factors will tell the body to build new healthy cells in order to increase muscle, etc., and to also replace the old and worn out or damaged cells, and this requires extra nutrients and fuel. Although I don't hear of it often, at first a client may even feel more tired when taking the product because the body is now working harder. This may happen because the body is trying to work with the product but it causes the body to require more energy, nutrients, and/or fuel than it has. Nutrition is very important when taking any type of human growth hormone therapy so make sure you are taking in the proper amounts of vitamins, nutrients, and fuel your body needs to do the work the HGH will ask it to do. Another extremely important prerequisite for receiving optimum benefits with any HGH therapy is the proper functioning of the adrenal glands and the thyroid gland. If you suspect that your adrenals may not be in great shape, or if you have issues with your thyroid gland I recommend you focus on these issues promptly. Remember, in order for the thyroid gland to function properly the adrenal glands must first be functioning properly, and both need to be optimum in order to get the most out of your growth hormone therapy. Although each person will obviously have his/her own experience with our product, for those who take the product as directed, and also provide their body with the required nutrients and fuel, the benefits should be very worthwhile. 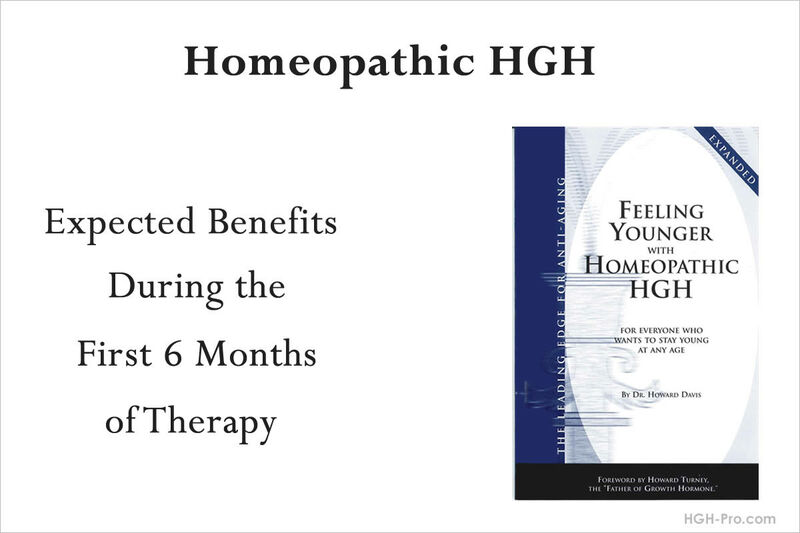 Homeopathic HGH the Smart Choice! Homeopathic Potencies - What is "30X"?